The Queue: So do we sing it a lullaby or what? Uhoh, the world is having nightmares. Should we read it a story? Check the closet for monsters? Give it a flashlight? Maybe some brandy? Look, I don’t really know what to do with babies, okay? But I do know how to answer questions, so let’s stick to that. LoreQ: When the orcs were in the internment camps, did the humans/alliance try to make them learn the common language? Usually in a situation like that, the captors want to erase the prisoners’ culture, and the first thing to go would be the language. Orc players, and a lot of NPCs, would have spent time in those camps, or been born just after. So many would be familiar with the common language. I know it is gameplay that keeps the two factions speaking “different languages,” but canonically, shouldn’t more orcs speak the human language? I don’t think that direct attempts were made to teach the orcs anything in particular. I know Thrall learned the common language, but he was kept under unusual circumstances, and common was all he’d ever heard. In Lord of the Clans, he didn’t really know how to speak Orcish initially — he learned it later. The Orcs being taken to the internment camps were speaking there own language, not common. In game, there’s a universal language everyone seems to speak — if you’re Alliance and you run into someone of a Horde race offering quests, you’ll be able to understand them, and vice versa. The language barrier is pretty much a gameplay thing, with racial languages added in for additional flavor. There’s no real “established canon” for who knows what language, or how many people speak it. It’s…honestly not really relevant in the context of the game. 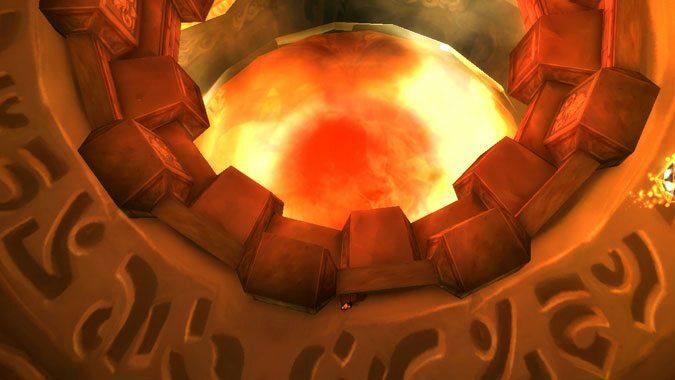 QftQ: If the gnomes and dwarves were to find time to engineer a new segment of the Deeprun Tram for the purpose of taking them to another part of the Eastern Kingdoms, where should the new destination be in order to give the Alliance the best trump card against Sylvanas and the Horde up north? Stromgarde or Refuge Point in Arathi? Aerie Peak in the Hinterlands? Gilneas City? Second best spot might be Hearthglen. Yes, the place is the site of a neutral organization, but if Sylvanas chose to make some kind of move, I don’t think the Argent Crusade would be too keen on just sitting back and letting her do whatever she wanted. Ideally, though, the Alliance should take back Gilneas, re-establish it as a capital, and connect that to Ironforge and Stormwind. That kind of thing would take substantial time and effort though, and the Alliance’s attention is (rightfully) focused elsewhere on more important things at this point. A tram really won’t matter if the Legion scours the world, you know? Q4tQ: If Blizzard buffs Outlaw Rogues, but removes Stealth (leaving Vanish as a temporary thing), would you still play it? I don’t actually play Outlaw at all as it stands. It’s not really the DPS so much as the playstyle — I was never a really huge fan of Combat, I’ve always leaned towards Assassination (with a brief stint in Subtlety for fun). When they announced Outlaw I was excited by the idea, but after trying it out, it still wasn’t really my cup of tea, style-wise. I think, however, that getting rid of Stealth would be stripping the spec of the thing that makes a Rogue a Rogue. Stealth is just an iconic part of the class. It’d be weird not to have it — it just wouldn’t feel like a Rogue anymore at that point. Have we had any new hints about the next Heroes hero? We have not seen any direct hints, no. People (Mitch) are really hoping we’ll see Kel’Thuzad as the next playable hero — which I think sounds like a fun idea. But we haven’t seen a peep out of Blizzard in terms of who the next hero is going to be just yet. I’m sure we’ll see something soon, they’ve typically been pretty steady with new hero releases, and just following the established pattern, we’re about due for another announcement. Q4tQ: Nathrezim are tied closely with the Void using shadow and vampiric magics along with necromancy. How is it they are agents of the Burning Legion and not associated with the Void Lords? Is it possible their inclusion in the Legion is part of the Void Lords’ greater design to sow chaos and weaken the Legion from within at the conclusion of the crusade? They are agents of the Burning Legion because Sargeras caught them, defeated them, shoved them on Mardum and left them to rot, then came back later on and set them free, along with every other demon on the prison planet. He gave those demons a choice: join the Burning Legion, or die. They wisely chose to fight in the Legion’s armies. The Nathrezim weren’t born of the Void per se — they were born out of the chaotic energies of the Twisting Nether. They did, however, embrace shadow magic and try to master it. And when Sargeras first ran into them, they were busy chilling on a planet that had been almost completely corrupted by the Old Gods. So they aren’t strangers to the Void. They have an affinity for shadow magic, but they aren’t servants of the Void Lords or anything. They discovered the existence of the Void Lords, they knew of the plans to corrupt a titan world-soul, but they weren’t created to foster that purpose or anything. I don’t think there are any conspiracy theories to be found there. In Blizzard’s quarterly shareholder meeting, they mentioned there would be content announcements at Gamescom. It was not specified for which game(s). With this a week a way, time to speculate, what announcements will we get? Just simple, “7.3 release, next heroes in HotS and Overwatch?” Will there be a Hearthstone Xpac announcement? Or will there be something big and unexpected? You know that question about new Heroes of the Storm heroes? I think we may see, if not an official announcement, at least a hint as to what the next new hero is going to be. I don’t know if we’ll see anything new for Overwatch, although I’m hoping for another animated short. I feel like it’s about that time where we should be getting an official patch 7.3 trailer and a release date, too. Give that Knights of the Frozen Throne just came out, I don’t think we’re going to see any new Hearthstone news. However, we just saw the release of StarCraft: Remastered. I’m thinking maybe we’ll see something about a Warcraft: Remastered, given how excited people were (and are) to play the freshly polished StarCraft. It’s a long shot, but I feel like it’s only a matter of time before they address their other titles — and Warcraft was immensely popular. I don’t know if we’ll see anything about it at Gamescom. I hope we do. But even if we don’t, I can’t see them not giving Warcraft the same treatment eventually. Update: Well it looks like I was right about some of these things — maybe I should invest in a lottery ticket.